When most entrepreneurs first look at starting a lawn care business one of the first questions that often springs to mind is if it is possible to earn a 'six figure' income. It is possible to earn a pre-tax income of more than $100,000 out of your lawn care business profits and some are able to do much better than this. However, there are also many owner operators out there that never quite 'get it' and always struggle to make a decent wage from their efforts. Clearly there must be factors that separate successful 'six figure' income operators from the rest. In the following article I have attempted to identify the factors that make some lawn businesses exceptional while others never amount to much. 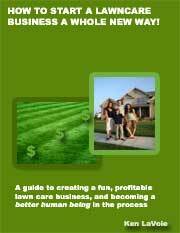 Find out what it takes to make a 'six figure' lawn care income. Strive to have an amazing knowledge of lawn care, lawn mowing and the equipment that you use. You must understand the practical side of this business fully if you are to look professional when you meet with prospects and if you are to run an efficient operation that maximizes productivity. Those on the upper end of the lawn care business income scale usually pay attention to brand development. This is all about building up your reputation in the market. Your brand will come to have value over time as it will allow you to win customers more easily if you continue to live up to the promises that you make. A name and a logo are important, but even more important will be how your market perceives you and the kind of company you come to be viewed as. Implement systems that allow you to save time and run your business smoothly. Lawn care business software can help you to keep up to date with your paperwork and provide you with data that will help you to understand your business better. Important decisions for the future can be based on how your business has performed in the past. Sales and marketing are extremely important in lawn care as they are in any industry. Package your services in a way that shows the customer the value that you offer and learn how to price your services in a way that maximizes revenue. Test a variety of advertising methods to find out which ones are cost effective and refine a sales approach that maximizes the percentage of leads that you are able to turn into new accounts. It is always easier to increase income from your existing customer base then it is to acquire new customers. Learn how to up-sell your clients on additional services, premium services or more frequent services that your company can offer. Find home, garden and property related services that are in demand in your area and have high profit margins and work on promoting those in addition to basic lawn mowing. Learn as much as you can about lawn care, the lawn care industry and business marketing and management in general. Model your business on those that have had success before you, read lawn care business books and guides and try to find a mentor who is able to coach you for a reasonable fee. Success in business comes down to your strength as a person so you should constantly try to improve yourself. 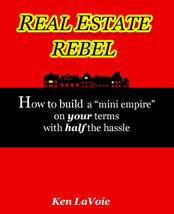 Understand that once you are established you will get referrals as your customers talk to their friends about you. Getting customers to talk about you is called 'word of mouth' marketing and to reap its benefits you must be serving your customers well and be giving them lot's of reasons to talk about your company in a positive way. There are many ways to maintain and strengthen relationships with customers and those that hit on a winning formula are usually well rewarded. You must be determined to succeed. Have a dream, make plans and goals and see them through to the desired outcome. Manage your time well. See every rejection or failure as a chance to learn, to improve and to adjust your strategies accordingly. It is tough to have a decent level of success in business if you are working alone. To be able to scale up to the 'six figure' income level you do realistically have to be running a crew. By leveraging the time of employees you can spare yourself the time to work on growing your business instead of getting stuck in the day to day grind. 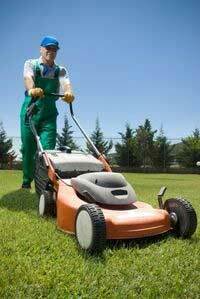 In many areas lawn care is seasonal in nature with an off-season over the winter. Learn how to take advantage of the off-season by offering other services to your clients over the winter. Judge the right time to strike with your marketing campaigns so that you get your message in front of people towards the end of the off-season when they might be looking for a new lawn care service provider. If you take the time to learn how to work smarter rather than working harder it is entirely possibly to be earning a six figure income from your lawn care business within a couple of years. Many have done it and there is no reason while you can't enjoy the financial security and lifestyle that an income of more than $100,000 can bring.